War is contagious and has a negative impact in the society and the country, says Catholic Bishop of Tombura-Yambio, as reported on the AMECEA News Blog sourced from Catholic Radio Network (CRN). Bishop Barani Eduardo Hiiboro Kussala says the conflict in Western Equatoria has greatly affected children especially those whose parents were in armed oppositions controlled areas, Anisa Radio reports. He was addressing hundreds of people attending the release of former child soldiers at Asanza in Yambio County, Gbudue State. When war broke out in Juba in 2013, people in Yambio were unaware that it would reach them, but out of a sudden just overnight people came to realize that young people have taken up arms and went to the bush to fight the government, the Bishop reminds the people. An anonymous 15-year old girl explains that she was on her way home from school when the former South Sudan National Liberation Army abducted her and many other friends and took them to the bush. She reveals that in the bush they were washing clothes, cooking food and fetching water for the armed men daily while boys were engaged in looting people’ s property. The President of the Republic granted amnesty to leader Dr. Riek Machar and all armed opposition groups. 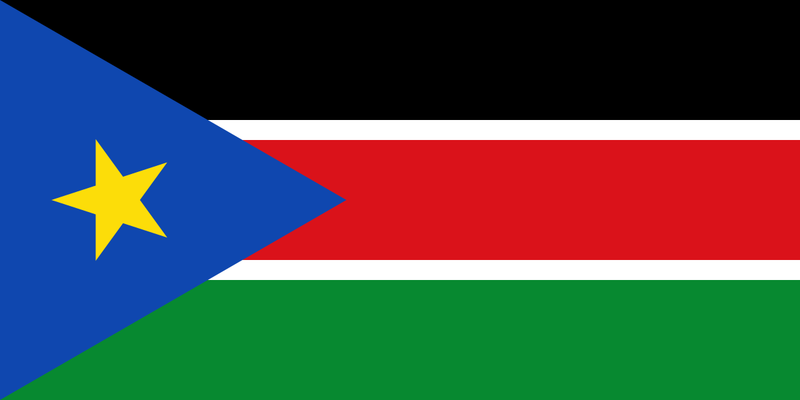 South Sudan Broadcasting Corporation on Wednesday read the amnesty order Salva Kiir Mayardit issued three days after signing a ceasefire and power-sharing agreement in Khartoum, Sudan. Those who “waged war against the government” were granted a general amnesty, Kiir stated late Wednesday. He also called on his forces to observe a ceasefire agreed in June by both the government and Machar’s forces. As part of the power-sharing deal, Machar will return to the country as the first vice president, with four other deputies. There will be 35 ministers and 550 parliamentarians. Armed opposition troops are expected to go to cantonment sites for training to be unified with the government army. Human Rights Watch calls on National Security Service to immediately and unconditionally release Peter Biar Ajak. The Body says the National Security Service should take the activist to court and charge him with a recognizable crime. Human Rights Watch urges authorities to also end the arbitrary detention of many others held by the security service, in violation of their rights. Associate Africa Director Jehanne Henry says “South Sudan’s security agents have long harassed and arbitrarily detained people, apparently to silence independent voices”. The director says “South Sudan desperately needs public dialogue and greater respect for human rights, not more repression and violations”. “South Sudanese authorities should release everyone being held arbitrarily and change the way the national security agency operates,” Henry adds. “National Security officials should be subject to the same oversight as all security forces and held accountable for their abuses”, the official notes. Members of Civil Society Network in Eastern Equatoria and a donor from Oxfam met to discuss and verify the impact of the work of organizations in addressing security, safety, and fragility. Charles Okullu, Network chairperson, says the aim of the meeting is developing a theory of change and capacity building mechanism in security reforms, Radio Emmanuel reports. He urges members of civil society network to share out their experiences in working in the field of security and safety. Okullu cites cases of child abduction, early and forced marriages as major security threats in Torit and Kapoeta States. He appreciates South Sudan Law Society for conducting awareness training for civil society organizations on how to address threats in the state. The chairperson explains that the evaluation is to give a true picture to the donor to see whether civil society organizations are moving on the right track or need adjustment. The chairperson was talking to Radio Emmanuel in Torit on Wednesday. According to Don Bosco Radio, James Ayiek Bath on behalf of the state government conveys a congratulatory message of Governor Anthony Bol Madut to citizens on the peace the warring parties signed last Sunday. He appreciates President Salva Kiir Mayardit for accepting Dr. Riak Machar Teny to work with him once again for the sake of the people. Ayiek calls on the other political parties to dialogue for lasting peace and development of the country. He urges all armed opposition groups to put down their guns and support the peace deal. The minister was speaking to Don Bosco Radio on Wednesday in Tonj.